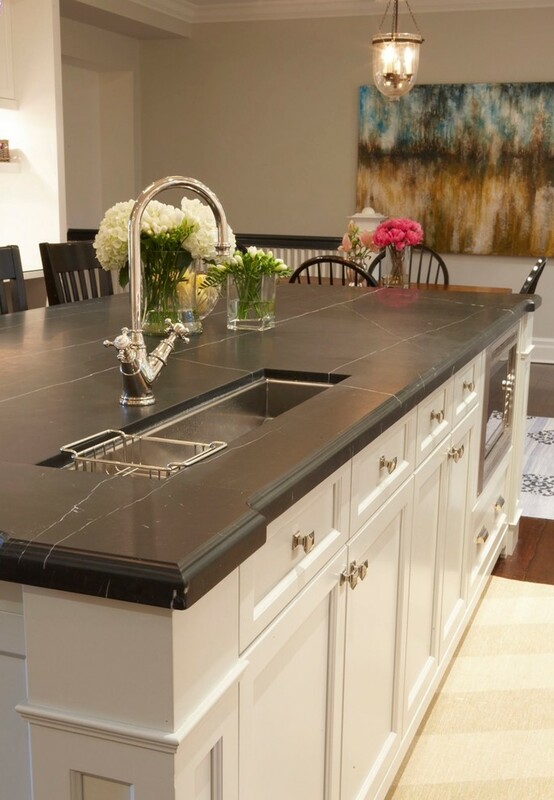 So you’ve chosen your kitchen countertops – not a small feat! 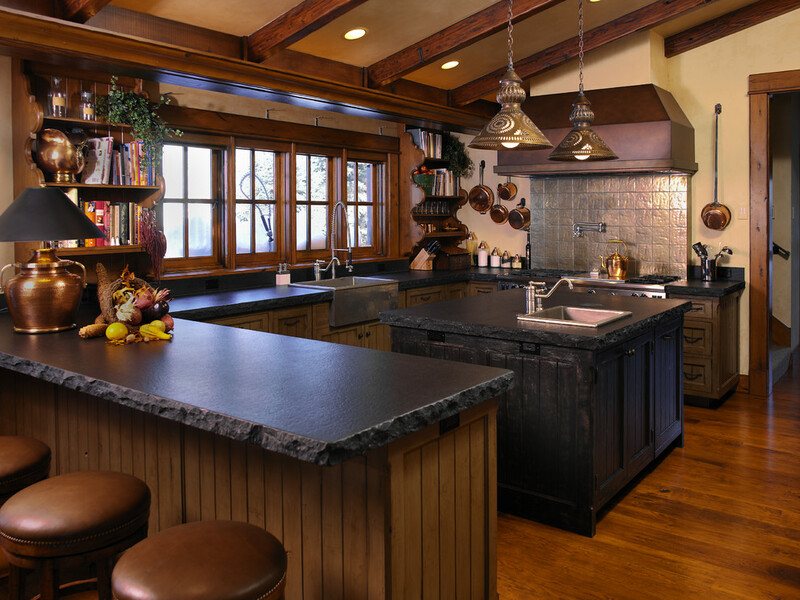 You’ve sorted through soapstone countertops, granite countertops, quartz countertops, marble countertops, and laminate countertops… Oh my! 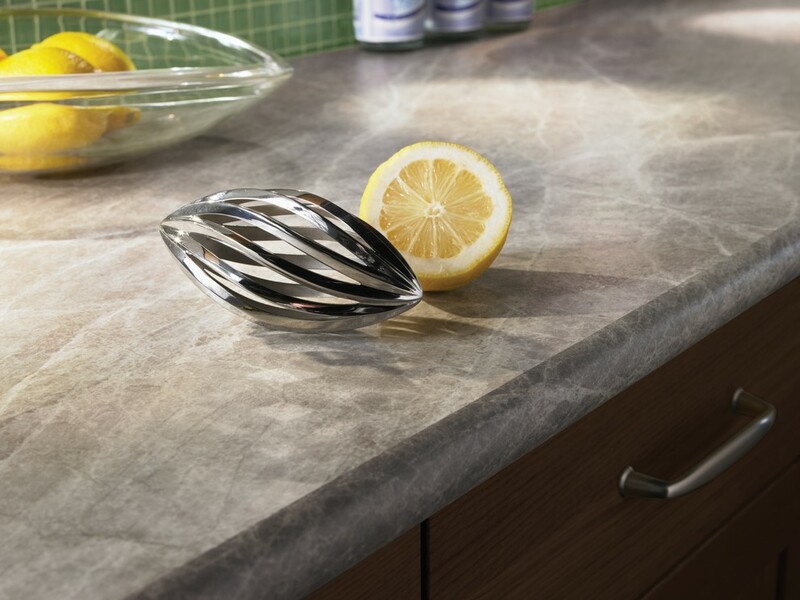 After choosing the material, color, and slab, it’s time to let the fabricator take over… except for one last (not-so) small decision: the countertop edge. 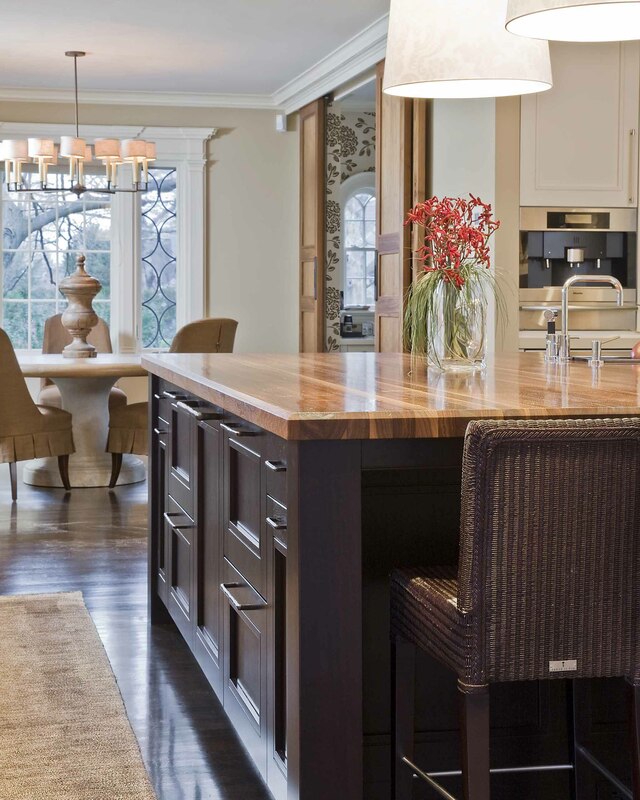 This is where you run into a lot of interesting terms that you’ve probably never encountered before. 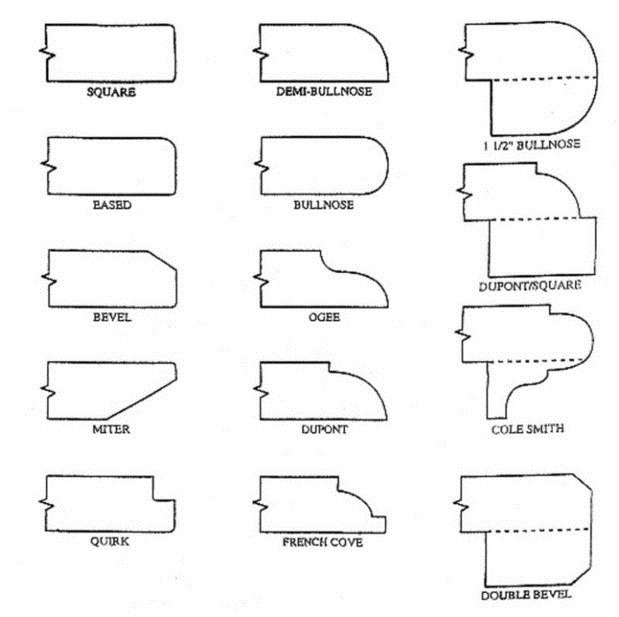 Bullnose (half, demi), Dupont, bevel, ogee… help! 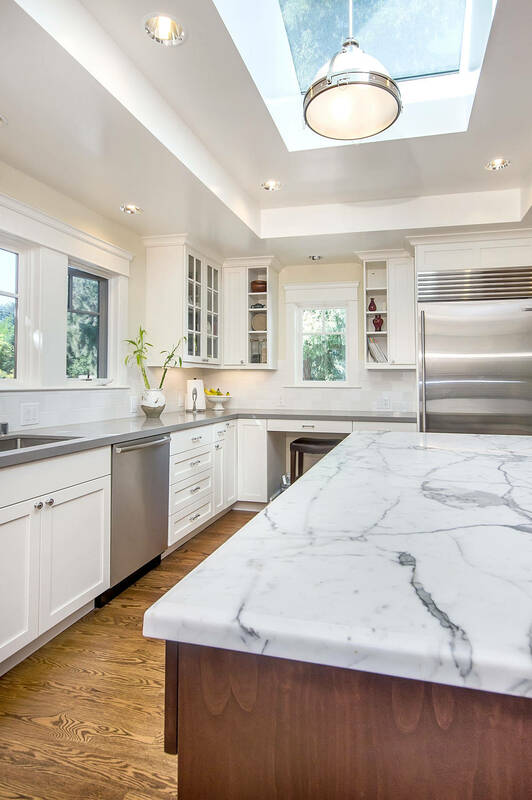 Before you panic, remember that we helped you through the countertop options (and loads of other home-related queries) – this one is no different. 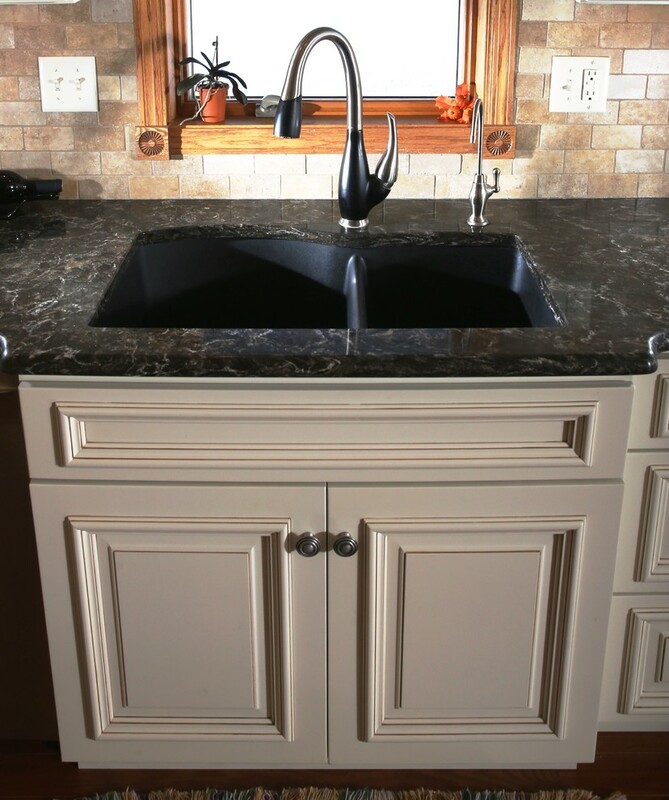 The basic, clean, modern countertop is often square, with a standard 3″ thickness. 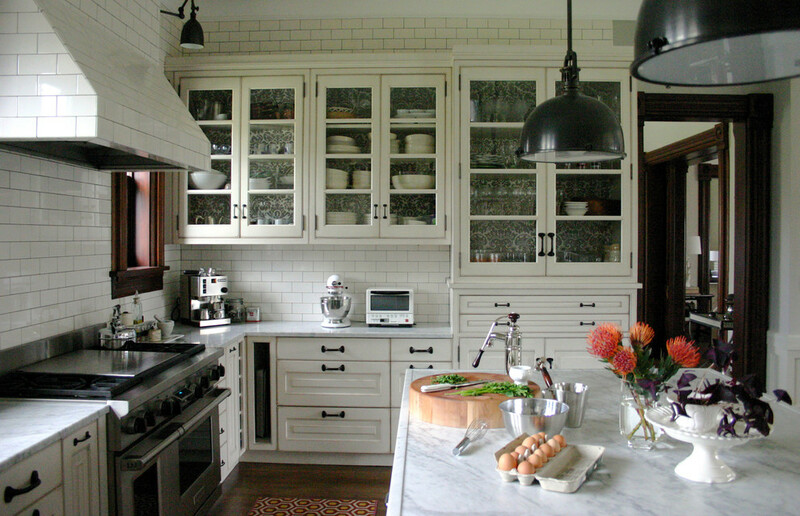 Love those extra-thick countertops? 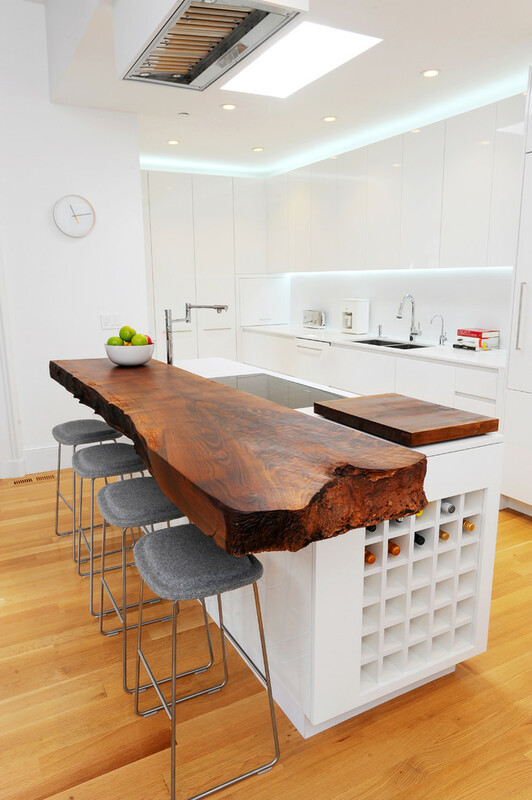 Surprise – they’re probably standard thickness with a mitered edge. 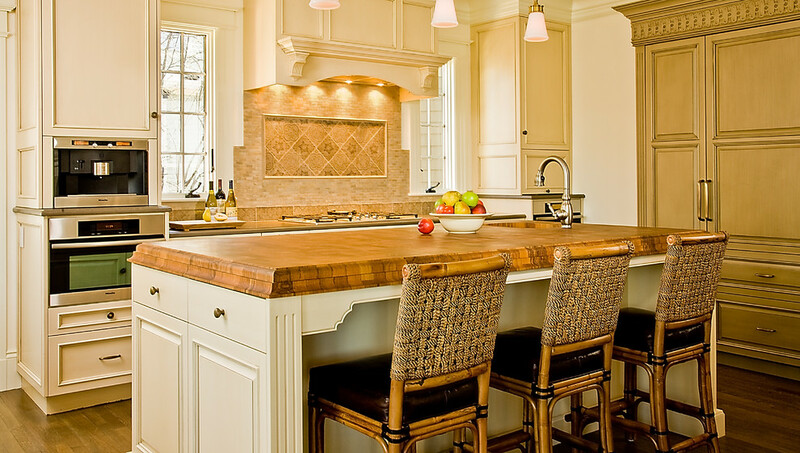 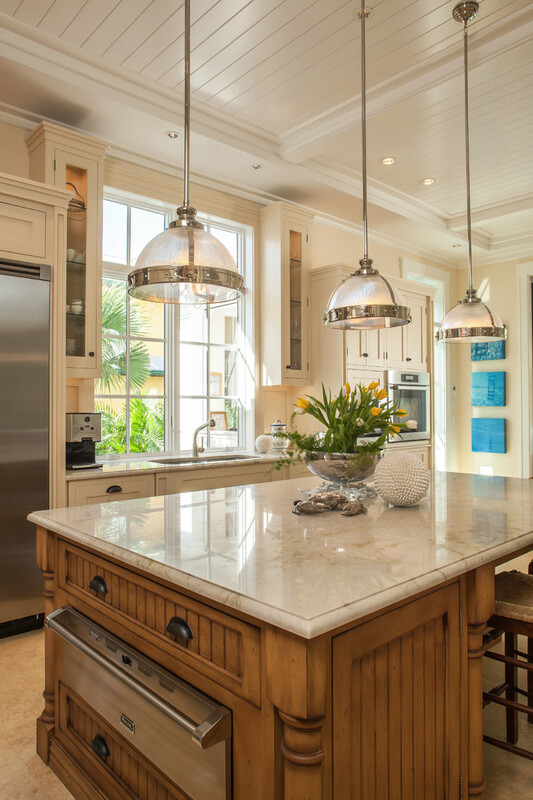 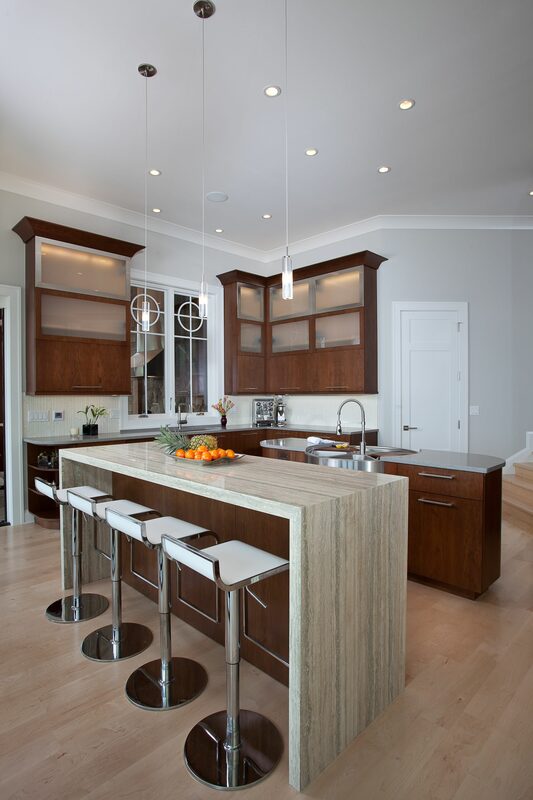 Kitchen by Sarah Gallop Design Inc.
For a similar but softer look (good for those who tend to bump into counters! 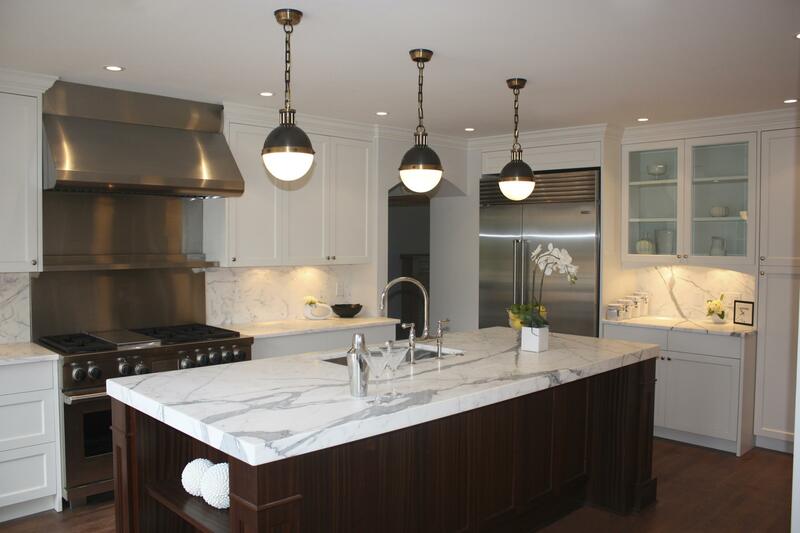 ), try an eased edge – it looks square but the corners and edges are gently rounded – or a beveled edge. 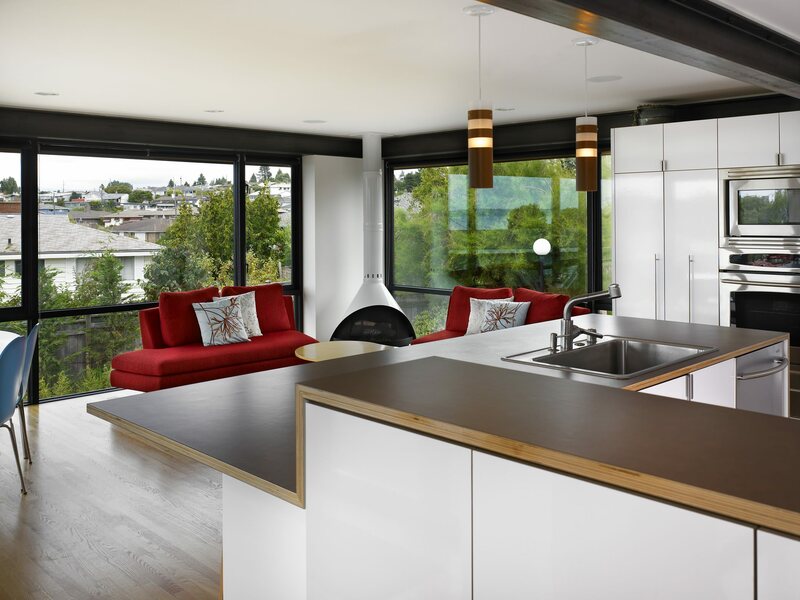 Kitchen by Studio S Squared Architecture, Inc.
There’s no one-size-fits-all countertop edge for your kitchen – find the one that you love best and enjoy it every time you enter your kitchen!